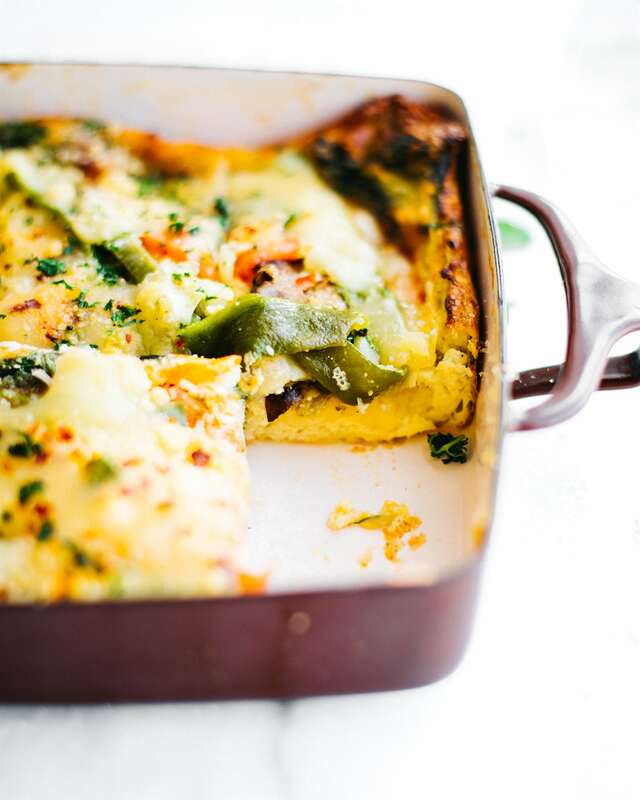 Roasted Hatch Green Chile egg casserole makes for a quick breakfast, lunch, or dinner! 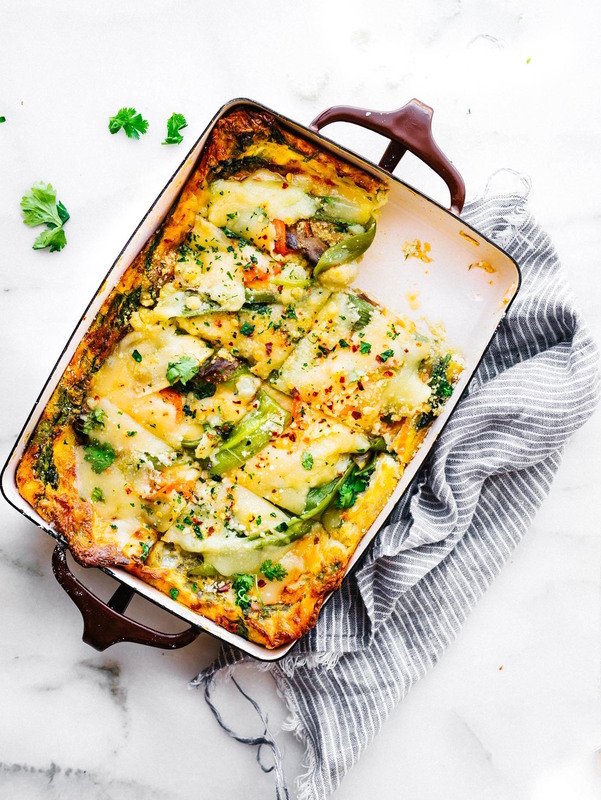 An egg casserole recipe with layers of green chiles, creamy artisan cheese, spinach, and other vegetables. 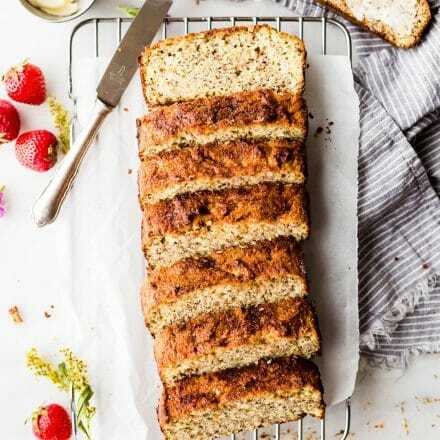 It’s wholesome yet light and delicious! Grain free, gluten free, and easy to make. It’s Hatch Green Chile Season. This means Hatch Green Chile Festivals take place and all over New Mexico and pretty much everywhere! People love their Hatch Green Chiles and a lot of stores roast them outside the store during the season. Our Harmon’s grocery store has the roaster going all day. Kinda smells like home sweet home. Which is why I’m posting this baked eggs recipe today. Well, for two reasons really. I always have my reasons, don’t I? Okay okay, first of all, I desperately needed to update my original hatch green chile casserole recipe. It needed a revamp. Don’t worry, it’s still good, but I wanted to upgrade a few tips, tricks, and grain free tweaking. So I took that oldie but goodie recipe and fine tuned it, making it more like one of my family’s favorite breakfast/brunch recipes. A cheese and egg souffle like breakfast casserole/ bake. 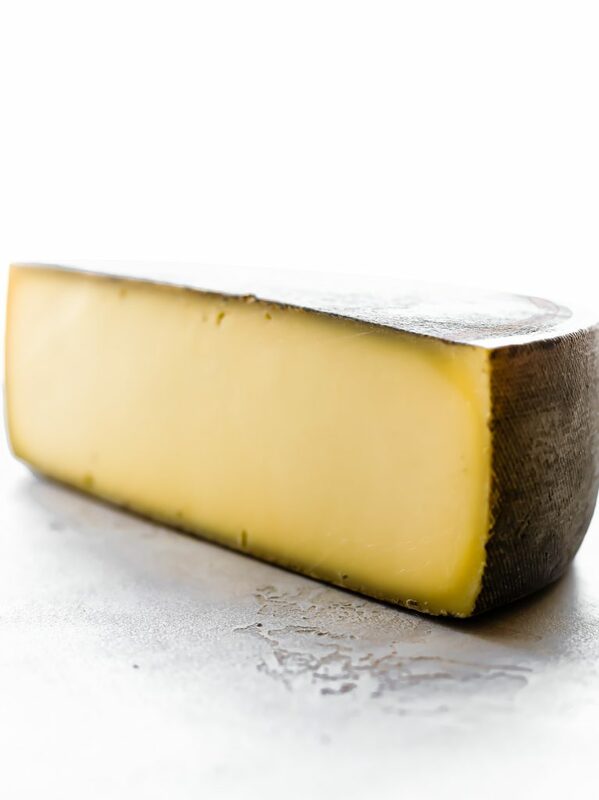 But not just any cheese, the good artisan quality aged cheese y’all. Yes, the type of egg casserole that is so fluffy, cheesy, and delicious, you’ll want to eat it every morning. I’ll expand more on that in a minute. And the second reason? Well, we are less than a month away from Fall y’all! What?! How in the world did that happen? But you know what? I say BRING IT ON! Bring on crisp air, the colors, and the aroma if something always cookin in the oven. I mean, who doesn’t love walking into a home with a pot of chili on the stove? Or bread in the oven? 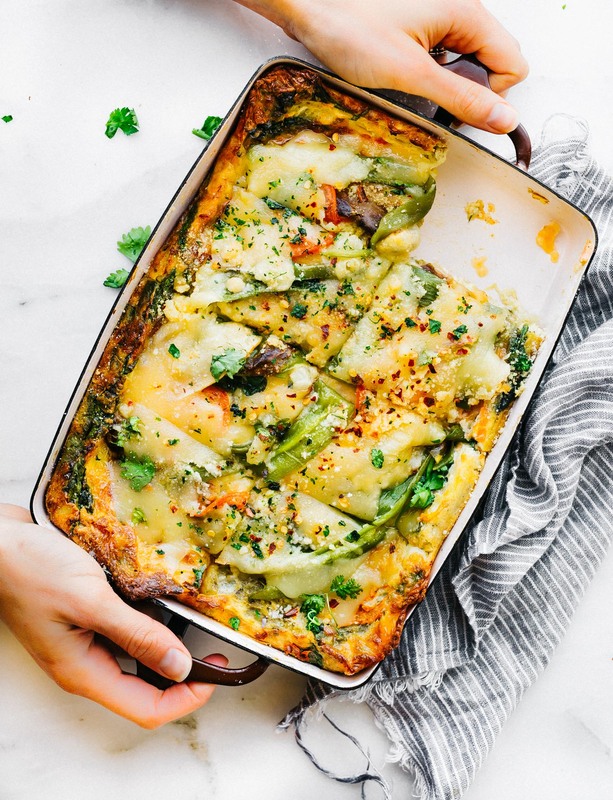 Let’s just add this roasted hatch green chile egg casserole to that heavenly smell list. Gah! You’ll want to wake up to this everyday, as mentioned above. Just sayin. 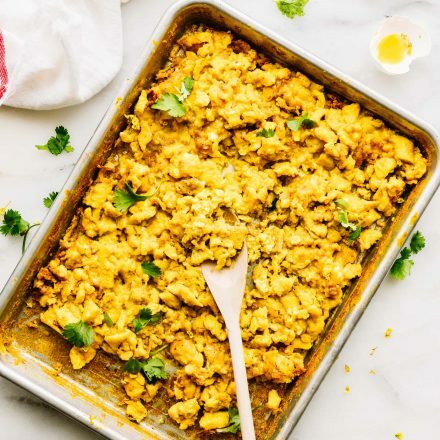 Plus this egg casserole is perfect for those looking to make more family budget friendly gluten free meals .Its grain free, high protein, and full of rich nutrients to fuel you’re lifestyle. Now, let’s discuss these layers upon layers in this egg casserole y’all. Eggs, spinach, creamy Kaltbach Le Cremeux cheese (you know my love for Emmi Kaltbach Le Cremeux in grain free breakfast dished), garlic, onion, green chiles, and wait for it… Roasted HATCH Green CHILE! Basically a double dose of green chiles, two ways y’all. 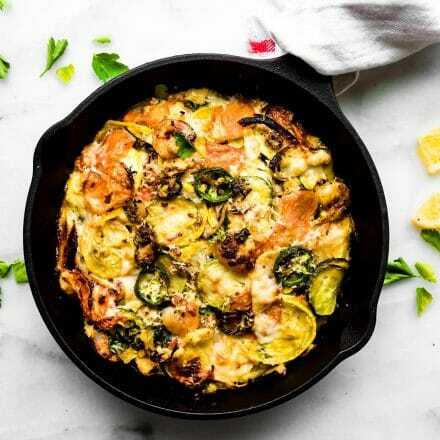 You can roast hatch green chiles to add to this egg casserole or you can use the canned version. You know me, we like spicy so I did both. Lol! But y’all, the more green chile the merrier. Right? Roasting the hatch green chiles takes 5 minutes and creates a smokey kickin flavor to that cheesy egg casserole. Just make sure you add that extra creamy artisan cheese On top. It helps make the edges nice and crispy. I may be bias, but I think this dish has all the right textures. Cheesy Roasted Hatch Green Chile Egg Casserole. Gluten Free, Grain free, high protein, and delicious! 8 ounces (2 cans) chopped green chiles (mild or spicy). NOTE: If you are roasting the green chile, you will want to follow the instructions below. Or you can use buy pre roasted. Place your your Hatch green chile pepper on the the foil. Once the broiler is ready place peppers in oven and Broil 3-4 min each side. Or until skin in browned. Remove from oven, set aside. Turn the oven down to 350F. In a small pan, add 1 tsp oil and sauté your onion and spinach together on medium to medium until fragrant. About 3 minutes. Remove from heat. Now prepare your eggs. In a large bowl, beat eggs and milk on medium-high speed with an electric mixer until light and frothy. Add the flour (starch), baking powder, salt, garlic powder, pepper, cumin. Blend until just combined and smooth, around 30 seconds. Stir in the canned green chilies (8 ounces). Layer the bottom of 8×11 casserole dish with your cooked spinach and onion. See notes for other sizes of dishes. Then add a few slices of cheese, followed by the egg and green chile batter. Once cooled, peel the skin off the roasted hatch green chiles and slice length wise, removing the stem. Then layer the top of casserole with tomato, slices, sliced roasted Hatch Green Chiles, and more cheese. Place in oven and bake for 30-40 minutes.Check casserole at 30 minutes. If the outside is brown but inside is still not set, cover and continue to bake for an additional 5 to 10 minutes. For crispy edges, broil last minute. Remove from oven. Sprinkle with extra cheese (see notes) , chili pepper flakes, and fresh cilantro. Optional salt/pepper to taste Serve or cover until ready to serve. If you want the casserole to be thicker, use an 8×11 pan; if you want a thinner casserole, use a 9×13. 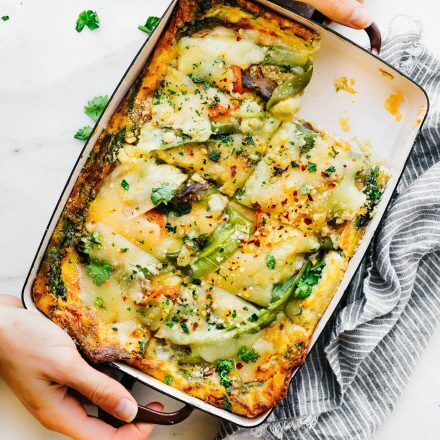 This egg casserole keeps well for 3 days covered in fridge. You can prepare the egg batter the night before as well. Then just layer with your vegetables and cheese before cooking. 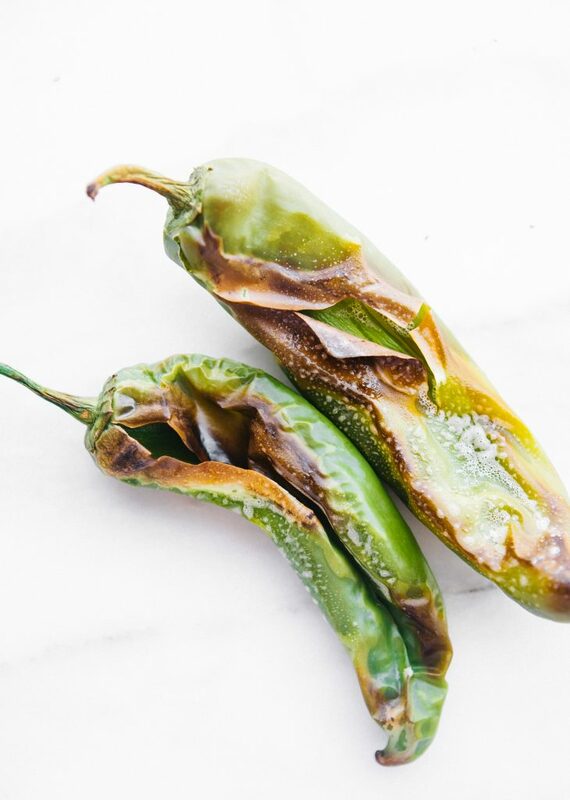 If you don’t want to roast Hatch Green Chiles, simply omit that ingredients or stir in an extra 1/4 cup of chopped green chiles. If you don’t have arrowroot starch, feel free to use a gluten free multipurpose flour. Nutrition Tip: To reduce cholesterol, replace half the eggs with the equivalent egg whites. Baking times will vary, usually baking faster. I should also note that you can can kill two birds with one stone with your shopping list here. Harmon’s not only roasts the Green Chiles for you, but they also now carry Emmi Kaltbach Le Crémeux That’s my free local tip for you if you live in Utah, mmm k? Okay. I spent way too much time talking about my love for an egg casserole. I think I needed to talk out my feelings in food form. If you get what I’m saying. Cheesy. Spicy. Filling. Flavorful. COMFORT FOOD made healthy-ish. Ps I turn in my final edits for the cookbook manuscript and photos today. I’ll be devouring this goodness a sigh of relief tomorrow morning. At least it’s low carb right? Lol. Thanks for putting up with my crazy Cotter humor today y’all. I promise to be back to normal next month. Capeesh? So much yes! I’m psyched it’s hatch chili season and looooove me some egg dishes! Definitely into this super fresh n’ tasty dish..I could seriously eat this for breakfast (or dinner) every single day! I’d eat this any time of the day, YUM! You had me at hatch chilis and cheese. WOW! This looks delicious. The guy who comes over to do a radio program with my dad has brought Hatch chiles over a couple times, but we haven’t had any this year. This looks so delicious. oh well tell him to deliver soon! Hehe! that’s awesome! I want this for breakfast today. And lunch. And dinner. And leftovers tomorrow. Egg casseroles are always a hit at our house Lindsay! Breakfast, lunch or dinner! This looks amazing! OMG that close up shot looks amazeballs!!! I can’t get over how good this looks!! Comfort food perfection! Will definitely be trying this!! Ohhhhh… I’ve been eyeing the chilis in Whole Paycheck. I friggin’ LOVE them! A friend from back home is coming to visit this week; this may have to happen for breakfast Friday! Hooray for final edits!!!!!!!! Cheers brother! congratsss on sending all the hard work in today!! i am absolutely digging hatch chile season..this is definitely happening for brunch soon. love love love it. I’m all over this casserole!!! love it! looks insanely delicious! Oh yeah to finishing! Hopefully you will have a bottle of wine to go with that. I need this for breakfast tomorrow! So perfect for brunch too! I love a good casserole! This looks fantastic! 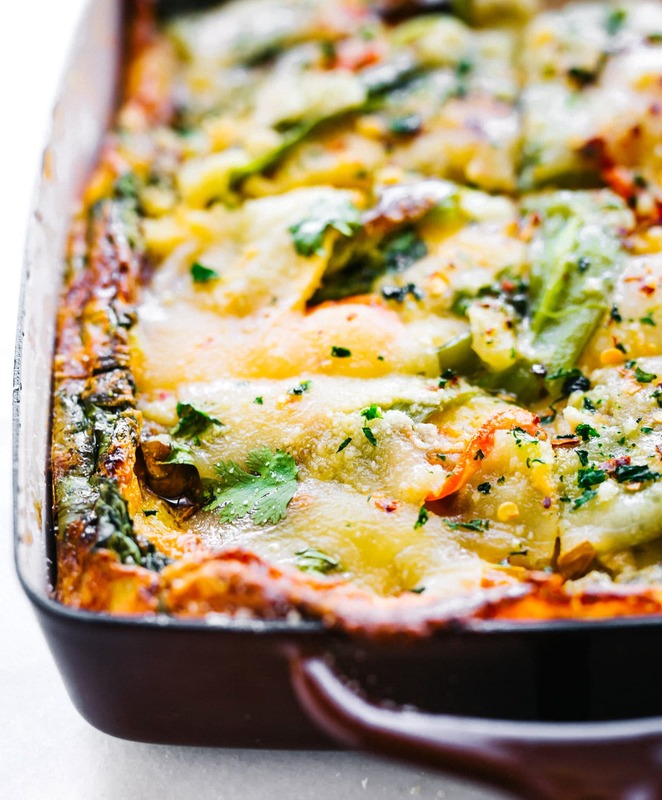 Love, love, LOVE the versatility and the spicy of this hatch casserole! OMGggg… it’s absolutely gorgeous, Cotter! You’ve totally out done yourself. Now, I roasted two sheet pans of hatch, peeled them and threw them in the freezer. I’m thinking that won’t be enough to get me through the year.. so I’m off to get more! I love them SO much! WAY TO GO on turning in your manuscript! Now you can breathe.. and have a drink.. and sleep. I’m so happy for you my dear! A huge accomplishment! 😀 Yeeeehawwwww!! Thank you friend. That means more that you will ever know. <3 Catch up soon? Those pepper have been roasted to perfection and I bet this casserole is to die for! Also, need to try that cheese ASAP! This was so easy and the whole family loved it! Thanks! I need to make this keto friendlier so what other alternatives could I use instead of the arrowroot starch? Could I use almond flour? Do you have coconut flour? I would use that but maybe a tad less since it’s a very dry flour. try 2 tbsp or so. Keep me posted. Could I use potato starch or corn starch? Please give me some general suggestions of other type of cheese I could use? Do you have Swiss or white cheddar or regular cheddar? That should work!